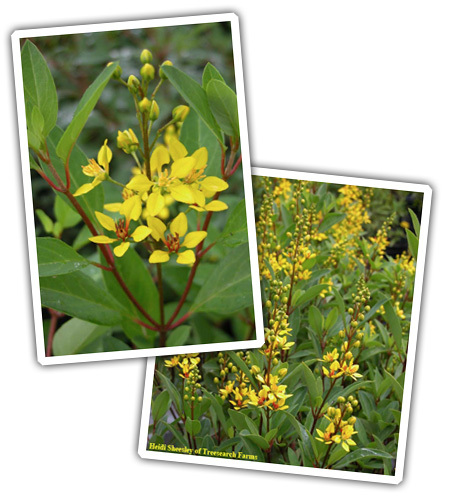 A large flowering shrub with narrow bluish-green foliage that�s covered with clusters of small bright yellow flowers non-stop nearly year-round! It�s evergreen in mild winters or temperate areas & is used in all types of landscapes. Thryallis is relatively salt & drought tolerant for coastal areas. Can also be used as a hedging. Averages 3�-6� tall. Sun.